It’s simple: bring computer terminals, printers, scanners, or other needed electronics to the work area, or access this information through tablets or smart phone applications. If your systems support it, tablets are great tools for this, but they do tend to suffer damage in rough warehouse environments. Using a mobile power workstation allows you to bring computers, RFID scanners, printers, and other electronics where you need them. The stations utilize long-lasting batteries and are available in a number of configurations. They are somewhat expensive, but the accumulated expense of continuously running people from, say a shipping dock to a printer, can be much more costly. Besides cutting the time it might take to walk between a shipping dock and a printer in the office or at the other end of the building, this can also reduce errors and streamline the shipping process. Central supply lines: Instead of packing employees having to run for tape, filler, or other materials, dispense it to them systematically so that people doing the work always have what they need is necessary. Don’t force them to find what they need – bring it to them. The real issue may be whether or not you can store the right supplies and inventory in close proximity to those who need it, and get it distributed in time for workflow to remain uninterrupted. Even if you can do that, is there adequate storage space at the work station? Consider high-density workstations that provide easy access to needed tools and supplies. Consider “over-conveyor” workbenches that can cantilever over the dead air space above a conveyor line. This allows you to claim that air for productive purposes and put supplies & tools right in workers’ hands without eating more of the valuable space in a particular area. These dynamics are mostly about space vs. time, so anything you can do to maximize space is always going to help tilt the equation in your favor. It’s a great thing to be able to easily store what’s needed, where it is needed, but that can be easier said than done. In a dynamic operation it can be nearly impossible. But you can get around those weaknesses. For instance, if you have inventory that’s needed for an assembly process, and you are using a lean principle, an order or an assembly may move through straight lines. But rework, changes, or customization can throw you a curve ball. If you can simply roll the needed stock to the work-in-process as needed, you reduce the need for work-in-process or pending orders to shift place in the line. Mobile carton flow rack is an ideal way to provide instant, first-in, first-out high density storage that you can move to points of value as it is needed, and on to the next when it isn’t. By its nature, static storage causes walking. 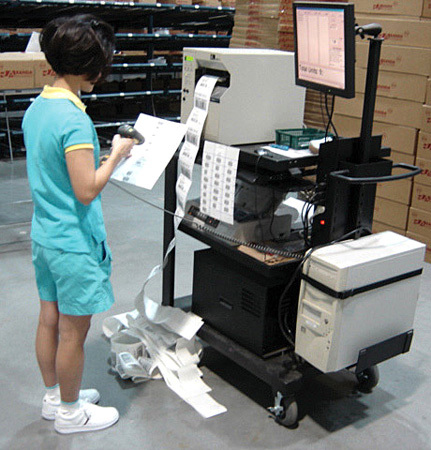 Those long rows of shelving that line distribution center order picking lines are designed for an order picking employee to walk & pick. To a point, this can be fine. Eliminating all walking is not possible, or even all that preferable. 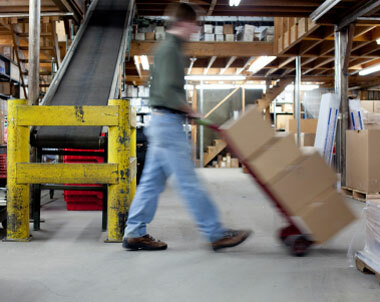 Some walking does help refresh and re-focus workers, and in the right situation, static storage is an efficient way to store inventory. You can reduce the walking to a manageable amount by process (more pickers for fewer aisles), layout changes, automation (via industrial carousels for many higher-volume picks), or carton flow racks. Ultimately, you want people focused on the value-add, not the walk between points of value. Finding ways to do that will improve your entire operation.